Married August 1, 1970, at Castle Rock, Douglas County, Colorado. Art graduated from West High School in Denver in 1956, and worked all of his career as a mechanic and machinist for Gates Rubber Company. Anita graduated from Western State College in Gunnison, Colorado, in 1966, and obtained a master's degree in education from the University of Northern Colorado in Greeley, Colorado, in 1969. Anita was born while her father was serving in India during World War II, and did not meet him until she was 18 months old. Music was an important part of Anita's life. She took piano lessons for most of her childhood. She earned a high school diploma in music from the National Guild of Piano Teachers. She continued studying piano during college. When her daughter was in Job's Daughters, she enjoyed accompanying the group during their meetings for five years. After college, Anita taught kindergarten in southern California for two years before returning to Colorado, where she taught elementary school in Castle Rock. She met her future husband on a blind date arranged by friends. Anita loved caring for and nurturing children, both her own and others. She operated a day care center in her home for eleven years, sometimes caring for as many as eight children at a time. She later did restaurant work and office work. She worked for several years as a clerk for United Air Lines, which gave her the opportunity for low-cost travel. 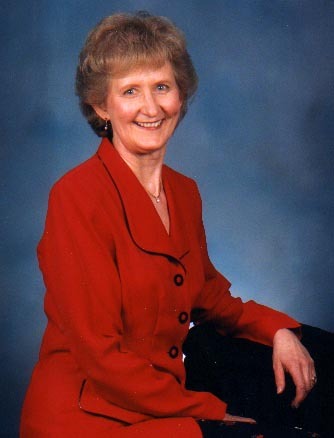 Anita was very active in the Northglenn United Methodist Church, holding such positions as usher, member of the Carillon Handbell Choir, member of the Council of Minstries, and president of United Methodist Women. She was active in her children's scouting and Job's Daughters activities. Anita had several hobbies. She did much sewing for herself and her family, and cross stitch projects. She did a great deal of genealogical research. She founded an investment club, and did much of the investing research for the club. She lived most of her adult life in Denver, Colorado, and its suburbs.